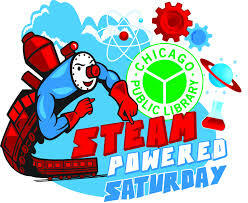 STEAM Powered Saturday: A Plutopalooza Celebration! It’s always awesome when I get to share my love of science and our Solar System with others. 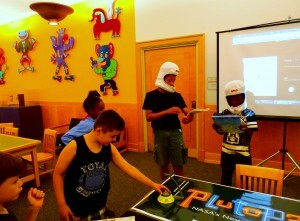 On Saturday, May 30 I spent the day with staff from the Chicago Public Library as part of their STEAM Powered Saturday at the Harold Washington Library Center and talked to many young people and their parents who stopped by to meet The NASA Lady and learn about Pluto and the New Horizons mission The NASA’s New Horizons mission was the spotlight of the day and the beginning of many Plutopalooza celebrations that I will be a part of this summer. It has been interesting to watch and listen to reactions from people when they talk about Pluto. The once proud, yet small, 9th planet in our Solar System became a trending topic in August of 2006 when the International Astronomical Union (AIU) met and decided to downgrade Pluto to “Dwarf Planet” status because it did not meet all three criteria the AIU uses to define a full sized planet. It met all but the last criteria which requires a planet’s neighboring region to be free and clear of other objects. This would be really hard for Pluto because it is located in the Kuiper Belt and there are lots of other object near it. Many people do not know or even care how this decision came about but they are all quick to join in the conversation and voice their opinion on the issue. Most people feel sorry for Pluto losing its designation as a planet while others believe that Pluto is simply gone. I learned this first-hand during my presentation when I asked people what they knew about Pluto. I got two really interesting responses: “It’s not part of our Solar System anymore” and “It blew up and it’s gone.” My presentation corrected these misconceptions but there are lots of people out here who still believe somehow in Pluto’s demise. NASA’s New Horizons mission, which was launched in January of 2006, has arrived in the Pluto system and will make a close fly-by on July 14, 2015. 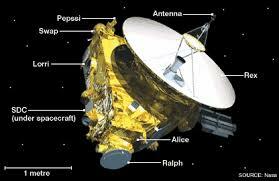 New Horizons nine year journey has given lots of time for talk and pondering on the former planet Pluto. There are some who are actively fighting for Pluto to get its planetary status back. We won’t know if that will happen but dwarf planets may come up for discussion at the AIU’s annual meeting in 2018 and Pluto, along with other objects similar in composition and located at the outer region of our Solar System, could possibly get some planetary status back. In the meantime, we are preparing for a real treat. New Horizons has begun sending images back. Here are all images from the LORRI instrument on the New Horizons probe. New images will be available on the website as they are received. Save the date, July 14, 2015, to witness clear pictures of Pluto. The discoveries that we’ll find on Pluto will be like presents wrapped up under the Christmas tree. Each image will be special and put Pluto a lot closer to our hearts. Thanks to the New Horizons team lead by principal investigator Alan Stern and the excitement New Horizons is generating for everyone on Earth. 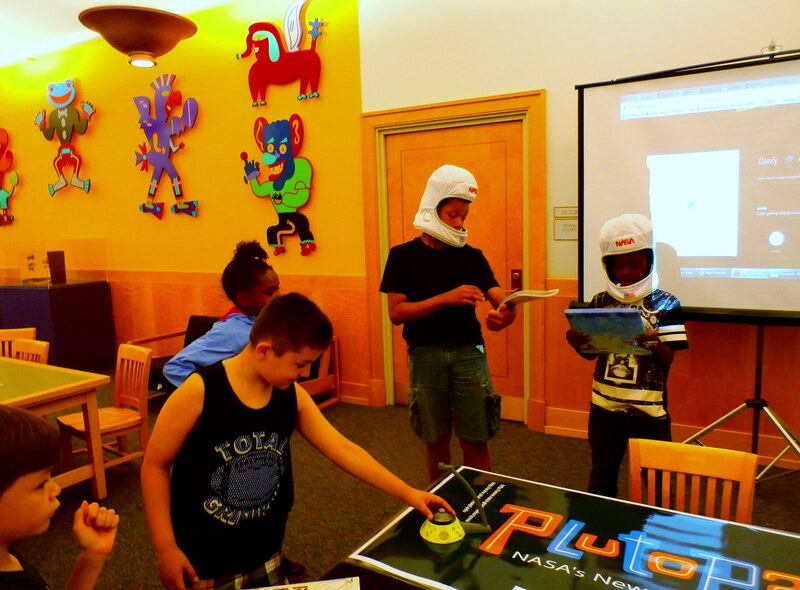 Sign up for the Pop-Up STEM Newsletter to find out where my Plutopalozza events will be popping up this summer!